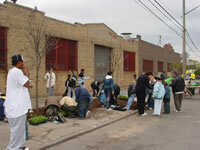 Networks of public agencies, private organizations, and individuals care for the urban environment. 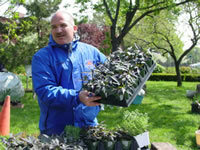 Who volunteers to steward urban ecosystems and how do volunteers get involved in these activities? How do different people and organizations use open space and local greening efforts as a form of governance and civic engagement? 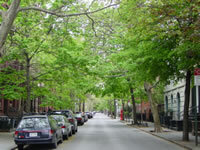 In Fall 2015, MillionTreesNYC will have planted their one-millionth tree, leading to an emphasis on the long-term health of the growing urban forest in NYC. Current forest ecology research at the Urban Field Station broadly focuses on understanding urban tree health and managing urban forest resources across the city. Resilience is the ability of individuals and communities to recover from stress or adversity. These projects explore the intersection between the natural environment and human health and well-being, asking: How can urban greening be understood and managed as a tool for improving quality of life and supporting resilience? As more people move to cities, our connection to urban nature becomes more important than ever. How do people use and value public green spaces and natural areas? What meanings do they imbue to these spaces?